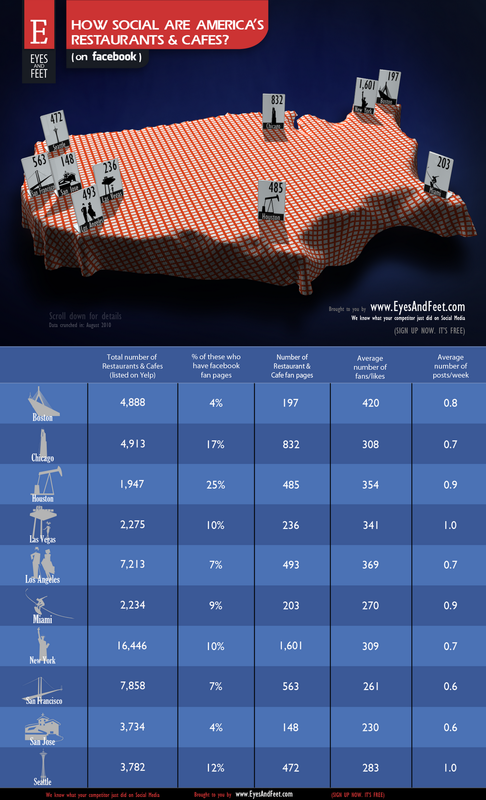 Social Media, Local Businesses & more | EyesAndFeet Blog: How Social are America's Restaurants and Cafes on Facebook? How Social are America's Restaurants and Cafes on Facebook? Click on the Infographic below to see it in full size. Feel free to share this as you'd like.